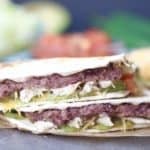 California Crunchwrap Supreme- Weight Watchers Friendly Taco Bell Copycat! Disclosure: This post is part of a sponsored collaboration with Flatout. Thanks for continuing to support the brands that make the Shaw Kitchen stay alive! I love a good challenge, don’t you? On a given day, I usually spend at least an hour thinking of recipe ideas I want to create healthier versions of we all can enjoy. Yep, #foodbloggerproblems to the max! But, lucky for you and me, my friends over at Flatout came to me with an awesome idea for collaboration this month to feature 3 brand new recipes here on the blog! So, say it with me, YIPPPPEEEE!!! Truth be told, this California Crunchwrap Supreme was likely going to happen this month either way. Well, it appears my Grandpa has taken a strong liking to the latest Taco Bell (TB) craze! And, since his Champagne Lady used to enjoy a good TB dinner, I knew it was only time before I created a healthier version the whole family could enjoy. 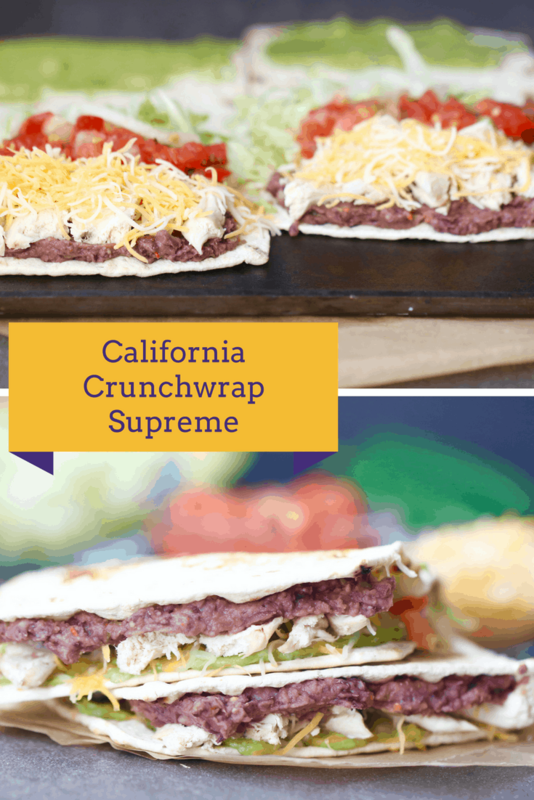 Enter the Shaw’s Simple Swaps California Crunchwrap Supreme! This beauty right here has something completely unique about it. 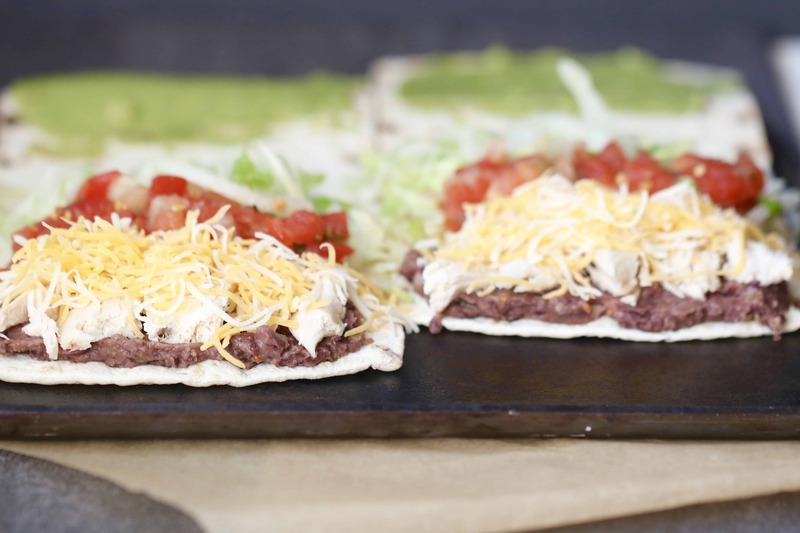 It’s not only filled with the staples of the beloved crunch wrap (i.e. protein, refried beans, cheese, lettuce and salsa) but its got the creamy goodness of the delicious (and nutritious) avocado! But, the best part about this California Crunchwrap Supreme, the Artisan Thin Pizza Crusts from Flatout! It’s the perfect size that has just 120 calories and then 5 grams of protein. And, Flatout® Flatbread is now endorsed by Weight Watchers®! Flatout Flatbreads are BIG on flavor with no added sugar while also being a terrific source of protein and fiber, making them a great choice for those looking for healthier flatbread options. Now, some of you probably have your own opinions about WW, but as I say to my clients, what works for you works for you. 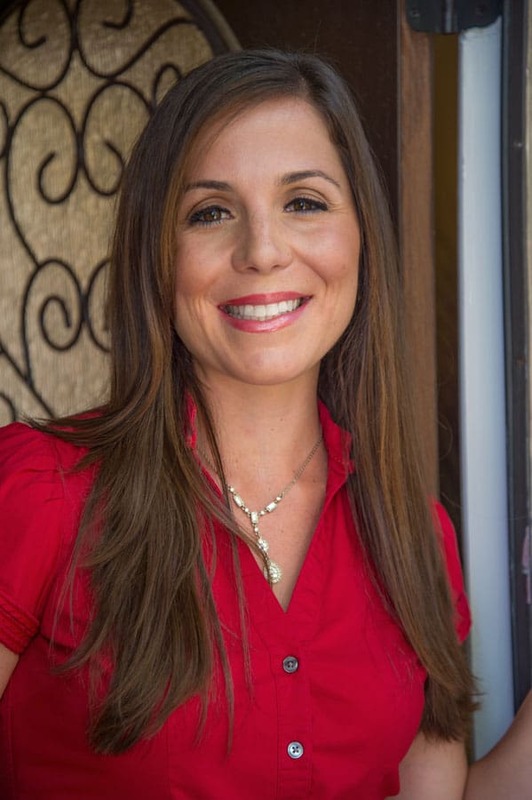 I have many close family members who really feel they’re the healthiest version of themselves when they eat the foods they enjoy with the help of a program like WW. So, to each their own! If you like good food, want a delicious meal in minutes, then WW or not, this meal is for you! Prepare "refried beans". In a food processor, place rinsed black beans, seasoning, chopped jalapenos and 2 tablespoons of Pico de Gallo. Pulse for 5 seconds, until slightly chunky dip consistency is achieved. Set aside. Place a flat non-stick pan sprayed with cooking spray over medium heat. Place the 5 Grain Foldit Flatout on the pan. Assemble California Crunchwrap Supreme. Place 3 tablespoons of "refried beans" mixture on one side of the Flatout. Add 2 1/2 ounces of pulled chicken, 2 tablespoons of shredded cheese, and 1/4 cup of lettuce. On the other side of the Flatout, spread 2 tablespoons of guacamole. Fold the guacamole side onto the lettuce. Cook for 1 to 2 minutes, flip, then cook 1 to 2 minutes. I love the idea of using the flatout bread for this purpose. 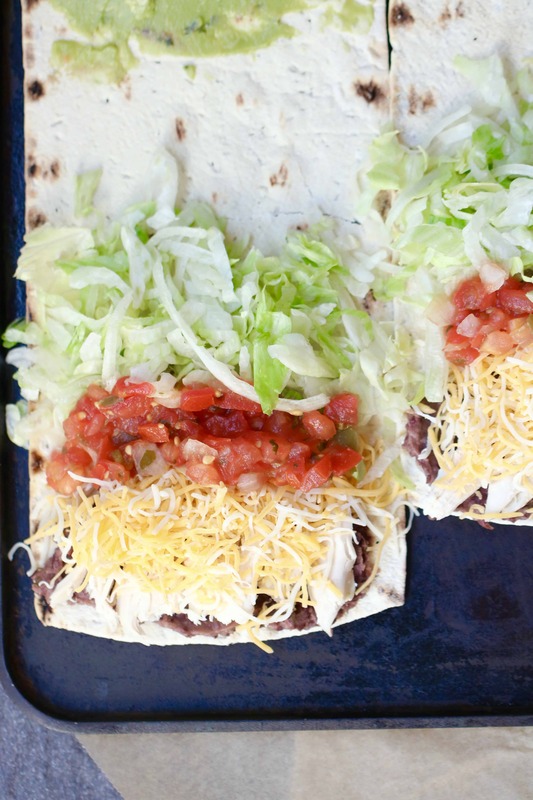 These look like a great alternative to taco night. (Not that I would ever replace you tacos- this love affair is here to stay). This looks great! Anything that’s this easy and includes guacamole is a winner in my book! I love Flat out wraps, they just make it so easy to change up what your eating and when I”m on the go, I can basically pile my power bowl in to the wrap! Totally, sucha great portable meal for sure! These sound delicious! 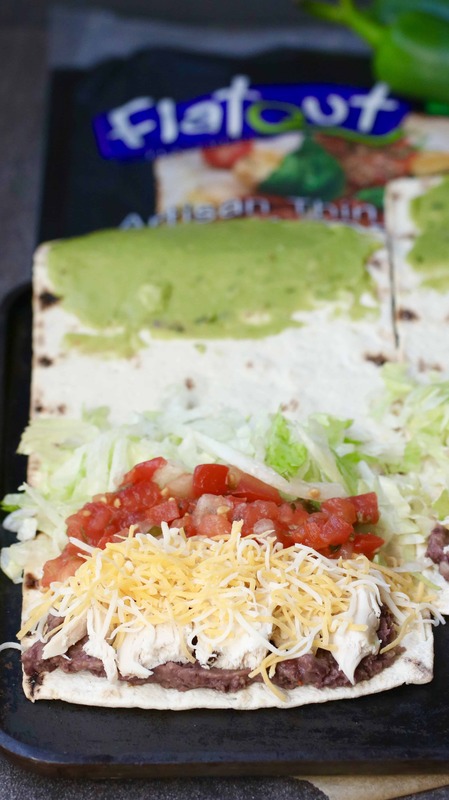 All the goodness of tacos in wrap form! Yeah, this California Crunchwrap Supreme is happening soon for my dinner! I love everything about this! I’m a big fan of Flatout too! Woohoo- so glad you loved them! I enjoyed your carrot cake dip too! Oh yes you nailed it, this looks amazing! Going to switch up taco Tuesday with this, it’s a packed night but these can be pulled together quick! What a great, fresh healthy meal! I love these flat outs!! !